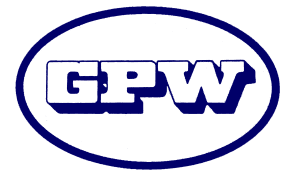 GPW Recruitment was formed in St Helens in 1973 initially to provide design solutions and services to local engineering and manufacturing companies. Primarily GPW supplied engineering design draughtspersons to companies such as Pilkington and ICI with mechanical, electrical and civil expertise. Graham Worsley, Chairman, joined the Company in 1990 and recognised the need to emphasise the quality and professionalism of GPW’s services. In March 1992 GPW became one of the first recruitment companies in the UK to be awarded the quality standard BS5750, now BS EN ISO9001: 2000. The Company used this tool to grow in staff numbers and turnover. Year on year since 1990 and without exception both staff numbers and annual turnover has increased, to its present levels of over 40 staff and an annual turnover in excess of £25 million. GPW developed a robust and thorough recruitment process supported by a genuine commitment to quality management systems and investment in staff training. 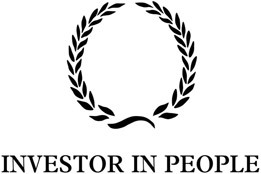 In March 2001 GPW was awarded Investor in People status with a particular positive reference to the culture within the Company. 2006 marked a turning point in GPW’s history. They reviewed our overall marketing strategy to focus predominantly on ‘knowing’ the North West market place better and matching this with our strengths. In response to changing markets and client needs GPW has evolved and developed over the years. We now operate in niche market sectors through specialist divisions; each geared to the time and cost effective delivery of key temporary, permanent and interim personnel. 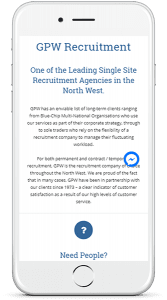 In 2008 GPW Recruitment launched their first website. Providing a 24-7 service for candidates and clients. In 2011 the GPW Recruitment Payroll department achieve the BACS Bureau Accreditation. 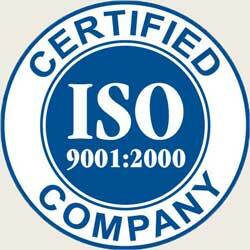 This accreditation ensures our Payroll Department operates to the highest standards. In 2014 GPW Recruitment launched gpwrecruitment.co.uk. Providing a mobile friendly 24-7 service for candidates and clients. 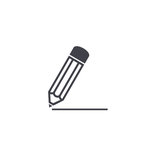 Where candidates can apply for jobs, clients can submit vacancies all from their mobile phone. Today, with its enhanced reputation as a key supplier to engineering and manufacturing companies, whilst remaining a single site operation firmly established in St Helens, GPW delivers its services with speed and consistency to businesses across the North West of England and beyond.